Unlike most types of insurance (which you buy in order to provide for you in the case of financial hardship) you buy life insurance to provide for someone else in the case you are gone. 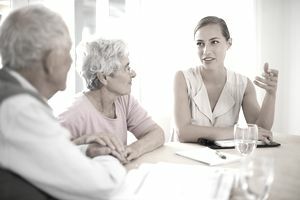 The means the first question in determining if you need life insurance over 50 is determining who is financially dependent on you. Then you must determine what amount of money would be sufficient to replace what you are currently providing for them. Financial dependents may include a spouse, children, parents or a sibling that you provide for financially. Figure out how much financial support you provide for them. What would they do if you were gone? You can buy a life insurance policy and name multiple beneficiaries, thereby providing a specific amount to several people without having to buy multiple life insurance policies. If there is no one financially dependent on you, you may still want life insurance because you desire to provide for someone. For example, some parents desire to pay a monthly or annual premium so they know a set amount will be paid to their children upon their death. Other parents figure the kids will get whatever is left, and that will be sufficient. It is a personal choice. To get life insurance you must go through underwriting. This process involves answering health questions and usually also requires a nurse to do a physical exam. If you are in great health, going through underwriting should be no problem. If you are over 50, a smoker, and/or have moderate health troubles, you may be able to get life insurance but you will have to pay more for it than a healthier person or a non-smoker would. Determining the right amount of life insurance will be important. The more you buy, the more it will cost. A life insurance agent will have an incentive to recommend that you need additional life insurance, as they are paid on commission. You may wish to seek the services of a no commission financial advisor to help you determine if you need life insurance, and if so, the right amount. Life insurance should fit into your overall financial plan and be designed to help you accomplish your goals and objectives, including the goal of providing for loved ones when you are gone. There are many types of life insurance. Most life insurance can be grouped into two main categories: term life insurance of cash value life insurance. Term life functions much like other forms of insurance. You have an annual premium, and as long as you pay it, you have life insurance. Just like other forms of insurance, there is no cash value attached to a term life insurance policy. With cash value life insurance a portion of the premium you pay goes to cover the cost of insurance and a portion goes toward a savings account. Cash value life insurance comes in many forms such as whole life insurance, universal life, and variable universal life. Each type will have different guidelines that apply to what your cash value is invested in, and when and how you can access it. Term insurance is good for temporary needs, such as providing for your kid's college or paying off a mortgage. Once the kids are through college, or the mortgage is paid off, you don’t need that life insurance anymore so you cancel it. Cash value life insurance is good for permanent needs, meaning no matter how long you live, you want to know you have a policy in place that will pay out at your death. Cash value life insurance can also provide a way to grow money tax-free for very high-income earners who are already fully funding other tax-deferred savings plans like 401ks and IRAs. There are two ways to look at life insurance: as insurance and as an investment. First and foremost, it is insurance. You pay a cost of insurance inside all life insurance policies. If you are looking at it as in investment, you can calculate the internal rate of return the policy might provide, depending on how long you live. For example, if you pay $5,000 a year for $500,000 of life insurance and die five years later, that policy provided a 326% rate of return. If you paid $5,000 a year for 30 years and then passed away, that policy paid a 6.94% return on your money. Some people buy life insurance for their parents as an investment. This may sound morbid or inappropriate, but it can also be an effective strategy as life insurance is a guaranteed payout. Some companies will issue life insurance on people even in their 80’s. The premiums at this age will be quite expensive, but again, some people look at this strictly as an investment and decide it is worth it.